Join Always in our mission to boost girls' confidence by encouraging girls everywhere to embrace failure as fuel to build confidence & Keep Going #LikeAGirl. At puberty, 50% of girls feel paralyzed by the fear of failure(1). This leads to girls avoiding trying new things because they're too afraid to fail. But the truth is, failing is a good thing! It helps us learn, grow and ultimately build confidence. CINCINNATI--(BUSINESS WIRE)--At puberty, girls’ confidence plummets. The most recent Always Confidence & Puberty Survey1 reveals that half of girls feel paralyzed by the fear of failure during puberty. This fear is so intense that many girls opt out of important growth opportunities during this time, like taking on challenges and trying new things. Always, the leader in global feminine care, is on a mission to stop this drop in confidence by changing how girls perceive setbacks and encouraging them to embrace failure as part of the learning and growth process. According to the survey, 80% of girls report that the pressure to please others and be perfect lead them to fear any misstep, and 75% agree that social media is a key contributor in this feeling. But experience, and now research, shows that persevering through a failure is actually key to learning and building new skills. Always wants to encourage all girls to embrace failing when it happens and use it as a tool to build their confidence, empowering them to keep growing and Keep Going #LikeAGirl. 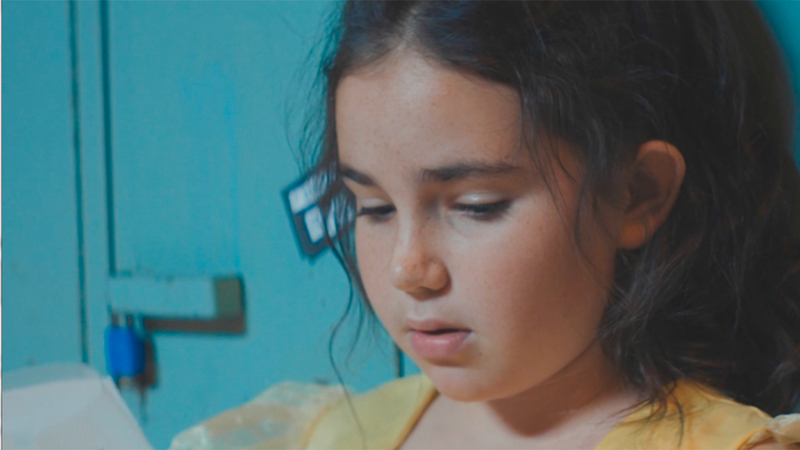 To help shed light on the issue and to inspire girls to keep going, Always partnered with acclaimed director Lucy Luscombe to show how girls feel about failure, especially during puberty. The new #LikeAGirl video brings a fresh approach to the campaign, following a group of girls through a day in their lives at school. From school projects, to drama rehearsals, chess matches and more, the girls are seen in real-life situations that capture how intense the fear of not measuring up can be. See the video and hear the rallying call for all girls to embrace failure as fuel by watching Always #LikeAGirl – Keep Going here: https://youtu.be/P_MhsbRiFyI. Always has also engaged actress and advocate Yara Shahidi to help empower girls and, through her own experiences, help them see that it is important to keep trying new things even if they’re afraid to fail. As they approach adulthood and look back, many girls recognize that the moments when they struggled through a setback led them to grow more resilient. In fact, the top three things gained from working through a failure are increased knowledge, strength and confidence. That’s why it is important for society to encourage girls to keep going even when they don’t immediately succeed. Research shows that girls need that societal support to truly thrive. In fact, more than 80% of girls agree that if girls felt failing was okay during puberty, they would keep doing the things they loved, take on more challenges and grow in confidence. Join Always to encourage girls everywhere to keep going, even when they fail. Share a post, video or image to show how you try, fail, learn and Keep Going #LikeAGirl to inspire others to do the same. The Always #LikeAGirl movement is being fueled by the millions of girls around the world who are changing #LikeAGirl to mean amazing things. The campaign launched in June 2014 and was inspired by the insight that the start of puberty and the first period mark the lowest moment in confidence for girls. It demonstrated the profound effect the phrase “like a girl” can have on girls’ self-confidence and it inspired a movement, which has started to change public perception. After seeing the Always #LikeAGirl video, most people (76 percent of women ages 16 to 24 and 59 percent of men) said the video changed their perception of the phrase “like a girl,”2 according to the Always Confidence & Puberty Wave II Study. But Always could not stop there. In 2015, a new Always study3 revealed that 72 percent of girls feel society limits them by telling them what they should and should not do or be. And more than half of girls felt that societal limitations would be the same or worse ten years from now. Always could not accept that and launched the Unstoppable #LikeAGirl campaign in July 2015 to empower all girls to show the world that they could do or be anything and everything. In March 2016, the brand tackled the subtle bias conveyed through emojis, and the resulting conversation led the UNICODE Consortium to rethink their approach to emojis – releasing 44 new “girl-power” emojis, now incorporated into mobile operating systems globally. Most recently, in June 2016, the brand released new survey data that found that half of girls quit sports by age 17 and that seven in ten girls do not feel encouraged to play, despite data that links sports participation to increased confidence. To help keep girls in sports, Always launched the #LikeAGirl – Keep Playing initiative, which coincided with the Rio 2016 Olympic Games & was supported by over 30 Olympic Athletes. The campaign resulted in 70 percent now believing that girls would be more confident if they played sports4. For more information about the Always #LikeAGirl movement, visit www.always.com. 1The Always Confidence & Puberty Wave V Study was conducted by MSLGROUP using the Research Now Panel and surveyed a total of 1,500 Americans. The survey was conducted among a sample of 1,000 females aged 16 to 24 year old and 500 males aged 16 to 24. The survey was implemented between the dates of March 9, 2017 through March 24, 2017. 2The Always Confidence & Puberty Wave II Study was conducted by MSLGROUP using the Research Now Panel and surveyed a total of 1,800 Americans, The survey was conducted among a sample of 1,300 females aged 16 to 49 year old and 500 males aged 16 to 49. The survey was implemented between the dates of December 5, 2014 through December 12, 2014. 3The Always Confidence & Puberty Wave III Study was conducted by MSLGROUP Research using the Research Now Panel and surveyed a total of 1,800 Americans. The survey was conducted among a sample of 1,300 females aged 16 to 24 years old and 500 males aged 16 to 24. The survey was implemented between the dates of April 30, 2015 through May 8, 2015. 4The Always Confidence & Puberty Keep Playing #LikeAGirl Study was conducted by MSLGROUP Research and surveyed 1,006 females aged 16 to 24 year old and 508 males aged 16 to 24 in the United States. The online survey was conducted between the dates of November 8 and 13th 2016. Always®, the world's leader in feminine protection, offers a wide range of feminine pads, wipes and liners designed to fit different body types, period flows and preferences. The Always line of feminine products includes Always Infinity™, Always Ultra Thins, Always Maxis, Always Liners and Always Feminine Wipes. Please visit www.always.com for more information. In 2016, Always was proud to announce that all Feminine care owned production sites have achieved zero manufacturing waste to landfill. Please visit http://us.pg.com/sustainability/environmental-sustainability/focused-on/waste for more information.